Regardless of what lifestyle you choose, paleo or vegan (or pescatarian for that matter! ), everyone can benefit from eating more plant-based foods. 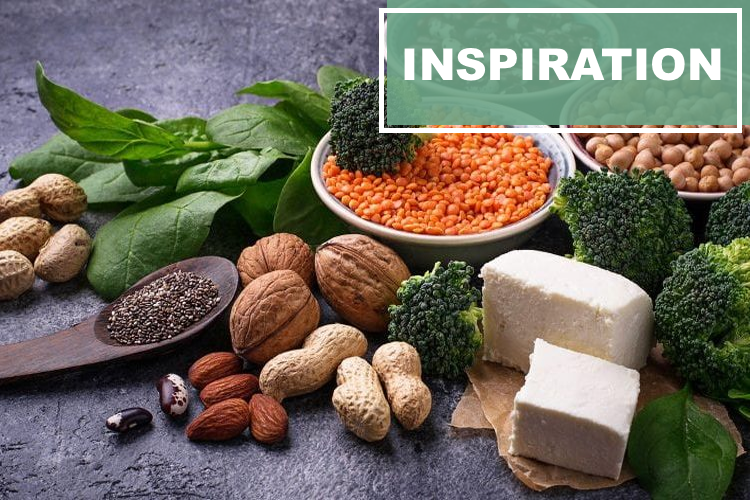 This article will help you to understand some of our favorite sources of plant based protein, how many grams of protein they have and what are their benefits. Rather they are a healthy, complete protein source that are extremely versatile. They can be pressed to extract their oils, ground into powders, made into milk and eaten raw, sprinkled on meals, or mixed through smoothies. The health benefits of hemp seeds are also impressive thanks to the high variety of nutrients they contain, including vitamins, minerals, a great fatty acid profile, high amounts of fibre, and, most importantly, their high content of protein. Consider them a plant-based protein powerhouse, your ‘go to’ staple to have in the pantry to back up any dish with an extra boost of nutrients. Pro tip: Same as flaxseeds, they are better absorbed by your body once they have been grounded. Tempeh also comes with all the added benefits of being a fermented food, aka probiotic goodness. In fact, tempeh can actually help promote a stronger immune system, improve digestion, reduce cholesterol and regulate appetite by reducing sugar cravings. Tofu is also made with soy but this time, this is not fermented. Even though, this still a really good source of plant-based protein to be added on a daily basis. Firm or soft, tofu can be use in savoury or sweet recipes as this is really versatile. Pro tip: Marinate your tempeh or tofu before cooking them in order to give them a taste way more interesting. Quinoa, pronounced ‘keen-wah’, is that plant with the funny name that someone always seem to pronounce wrong. Despite this, it is extremely good for you and a popular plant-based protein for many people. What it does contain is an array of nutrients, especially manganese, magnesium, lysine, B-vitamins, and an impressive profile of essential amino acids. Quinoa’s nutritional profile has actually been associated with aiding weight loss, supporting bone health, improving gut health, and reducing risks of diabetes. Pro tip: Don’t forget to rince your quinoa few times to get rid off this “soap” taste that is naturally in it. This will make the taste better. Beans and chickpeas are staple foods for loads of cultures around the world and very popular meat alternatives in vegetarian or vegan diets. Officially part of the legume family, these plant foods are packed full of fiber and protein, plus a variety of vitamins and minerals. Unfortunately, on their own they are not complete protein sources but simply mix them with another plant-based protein and they are a great way to meet your protein needs and promote overall wellness. Pro tip: Rince them before cooking them, this trick will help for a better digestion. Lentils contain the third highest amount of protein of any legume, just under hemp seeds and soybeans. They are commonly eaten as an alternative to animal products not only because they are high in protein, but because they also contain certain vitamins and minerals like iron and B vitamins that are commonly found in meat, with the added benefit of plant fibre. Made from blue-green algae, spirulina powder is a nutritionally dense superfood that happens to also be protein rich. Although this superfood is not a complete protein source, it is incredibly high in protein and once paired with some nuts, you are all set. Besides protein, spirulina is known for its powerful antioxidant and anti-inflammatory properties and proven benefits in detoxing heavy metals, lowering blood pressure, reducing cholesterol, boosting energy, and speeding up weight loss -the list really does go on. This is also known for detoxifying ou body, reducing blood pressure, cholesterol, and improving our energy level throughout the day. Finally, this is a great source of iron and vitamin B12, which makes this algae a must have in our cupboard. If you want more information about vitamin B12 and knowing why this is really important when you reduce your meat consumption, then go check out this article!